Place of Origin: South America, specifically Venezuela, Guyana, Suriname, French Guiana and northern Brazil. Typical Tank setup: Well planted with rocks and driftwood/bogwood. They love playing in a moderate to strong current. 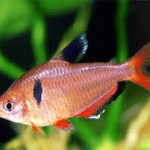 Compatibility: It is very common to find tetras with Corydoras as companions, as they are both quite peaceful and other tank mates like Guppies, other Tetras, Rasboras, Mollies & Platies. 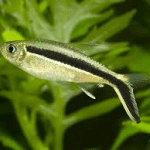 Feeding: Normal tropical flake will be more than sufficient food for these non-fussy eaters although the Pristella Tetra would also welcome small live foods such as Artemia and Daphnia. 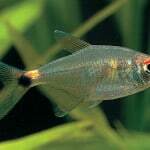 Sexing: The female Pristella Tetra is noticeably larger and bulkier than the male when they reach adult size. 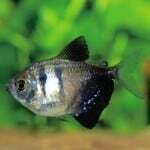 Breeding: Dimly lit tank with some fine leaved plants on the bottom to catch the eggs will encourage breeding. Be sure to remove parents after they have spawned to avoid them eating the eggs. 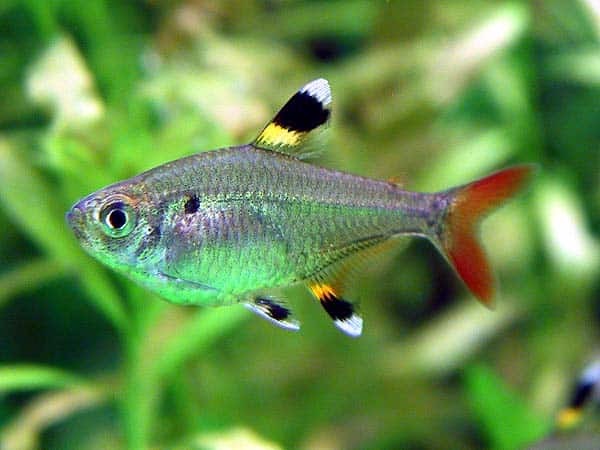 Additional Information: This tetra is generally very peaceful but they are sometimes prone to fin nipping on some of their tank mates. Keeping them in a school of 6 or more may help alleviate this problem. 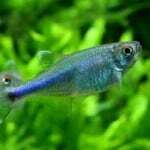 This entry was posted in Profiles Tropical All Fish, Profiles Tropical Tetra. 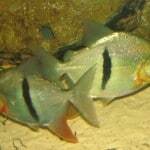 Fish use a variety of low-pitched sounds to convey messages to each other. They moan, grunt, croak, boom, hiss, whistle, creak, shriek, and wail. They rattle their bones and gnash their teeth. 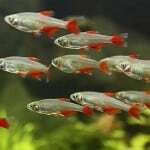 However, fish do not have vocal chords. 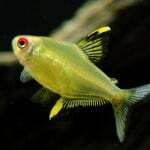 They use other parts of their bodies to make noises, such as vibrating muscles against their swim bladder.